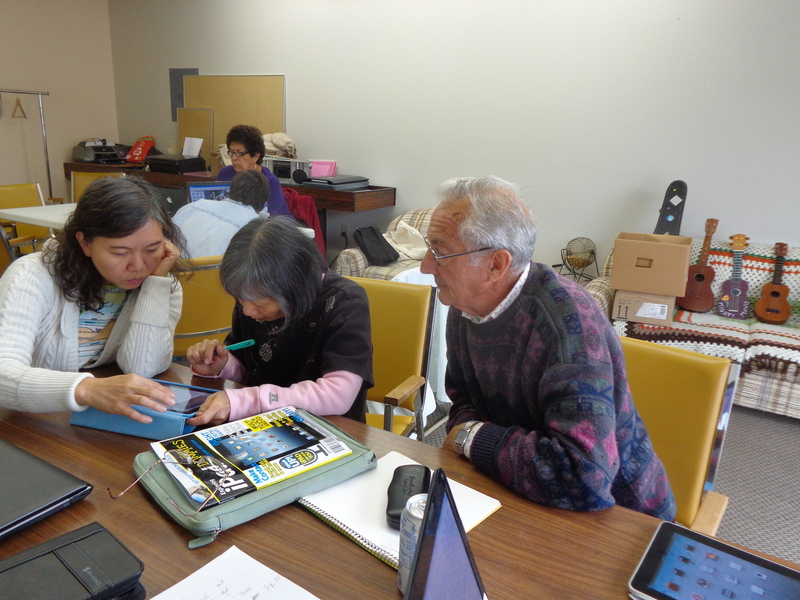 The QC Seniors, with initial financial assistance of the federal seniors program, New Horizons, has created a weekly computer literacy program. With the amazing assistance of the Vancouver Island Regional Librarian, Lorilee Parker and the Literacy Haida Gwaii co-ordinator, Beng Favreau we have had wonderful support in expanding our computer skills …. every Friday 1:00 – 3:00. We have a wide variety of formats, XP, vista, Windows 7 and 8, mac, ipad, mini ipads and our instructors can help with them all, they are amazing! We offer free internet, and we have some older laptop computers for loan as well as a printer and scanner. Throughout the year we have also had other computer savvy people drop in the help … thanks to Ryan and Karen as well. It’s fun just drop in, if others can’t help, just wait a bit and Lorilee and Beng will.